What "custom writing service" means? The writing service of MillionEssays.com provides custom essays, research papers, term papers, movie reviews, and book reports on various topics. We assist students of all academic levels in their writing projects. At MillionEssays.com all the services are offered by writing professionals. We always to give original perspective and detailed research. The pricing policy is flexible; it allows you to save money by choosing the most suitable options. The price depends on the deadline, academic level of writing, type of assignment, and the number of pages. How soon will be my order fulfilled? You can get your order delivered whenever you like (in 3 hrs., 6 hrs., 12 hrs., 1 day or longer). The order is delivered according to the urgency level a customer mentions in the order description. Our writers always follow specific deadlines set by clients. Is it safe to buy papers from MillionEssays.com? MillionEssays.com website is absolutely secure, since we use Plimus.com for handling all our credit card transactions. Over 1 million visitors entrust their payments to Plimus.com sites each month. With millions of worldwide members, SSL encryption standard is a leader in accepting the credit card information. At present, SSL encryption is used by all reputable and famous online stores. Is it legal to buy essays, book reports from your company? 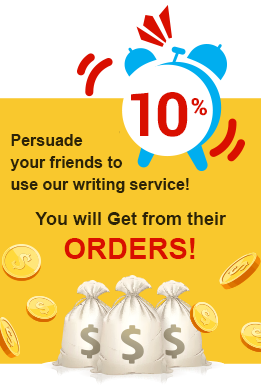 Sure, it's legal to buy any academic papers, research papers and custom written essays from us. We are not criminals. We suggest all the papers as model writing which is absolutely legal service. Are all the essays offered by your company truly custom-written? Obviously, every writing project is written from scratch. We do our best for customer's satisfaction. MillionEssays.com's code of ethics would be violated if we offer essays copied from the Internet. Our sophisticated plagiarism detection system is able to ensure completely original written paper. Your academic essay will be assigned to the most suitable expert holding an appropriate degree in the relevant discipline. Our writers' team includes experts with several academic skills and sound backgrounds. Thus our team can complete even the most sophisticated requirements. Our company has numerous departments, and each of them specializes in several areas including Management, Natural Science, Medicine, Physical Science, Social Science, Humanities, Mathematics, and Law. We gain all the intellectual and technical resources to cope with your assignment. How secure is the payment system of MillionEssays.com? Plimus.com handles allour transactions done through the website of our company. It is a very convenient and safe way for sending online payments. The information of your credit card will never be disclosed to anyone else. There is a secure server for processing your credit card information and it is deleted after completing the transaction automatically. What format do you use for your custom essays? Your custom essays can be provided in any format you choose, including MLA, Chicago, APA, Turabian, etc. All papers written by the professionals of our company are subjected to the following standards unless the customer specifies different ones: 300 words per page, Times New Roman, 12 pt, and double spacing along with 1-inch margins on every side. Although, you are welcome to specify any kind of format you desire in the orderdescription. What charge will be used on my credit card statement? What kind of essays can you offer? You will get whatever you order from us! We can provide writing service in any subject including Drama, Art, Biology, Zoology, Chemistry, Literature, History, Accounting, Business, etc. Each paper is scanned with anti-plagiarism software. We ensure that your ordered paper is absolutely authentic. Can I submit any essay written by your company as my own? No. We don't encourage any kind of plagiarism. All the custom essays created by MillionEssays.com writing service are to be used as model writing only, for assisting in the process of your own essays writing. How can I contact your company if I've got any problems with my ordered paper? Do you give any refunds? We do our best for customers' satisfaction. Generally, 97% of our clients rate our services as quality writing service. We take every effort for the benefit of our customers. If the final paper is not written to your requirements precisely, you can ask for a free revision within 48 hours (for smaller papers) and the whole month (for 20+ page papers). MillionEssays.com writers are always ready to revise your paper unless there was a change of original instructions. If you are completely unsatisfied with your paper or believe it is plagiarized, you can send a refund request. Refunds may be claimed within 14 days of the paper delivery (plagiarism issues do not have any time frames). Please, do not forget to send a plagiarism report in support of your claims.